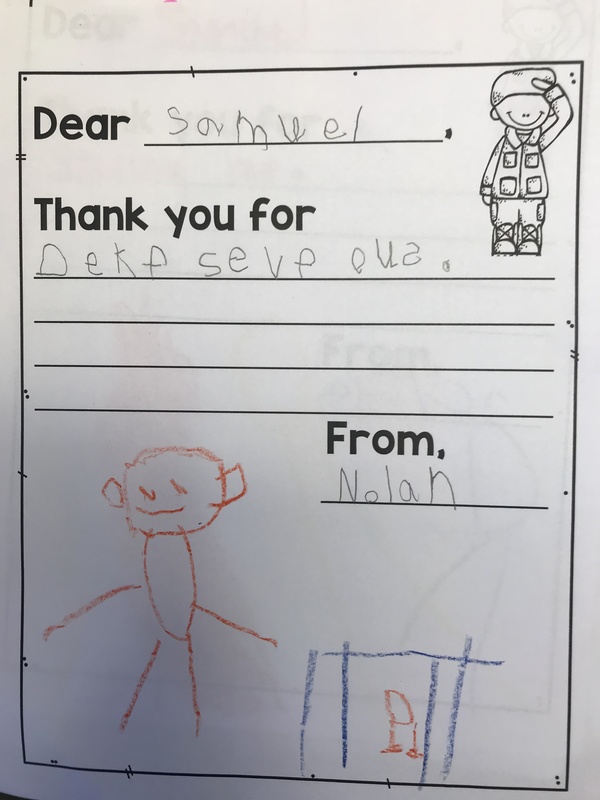 It has been a long week for me as I have been pretty sick for part of it. 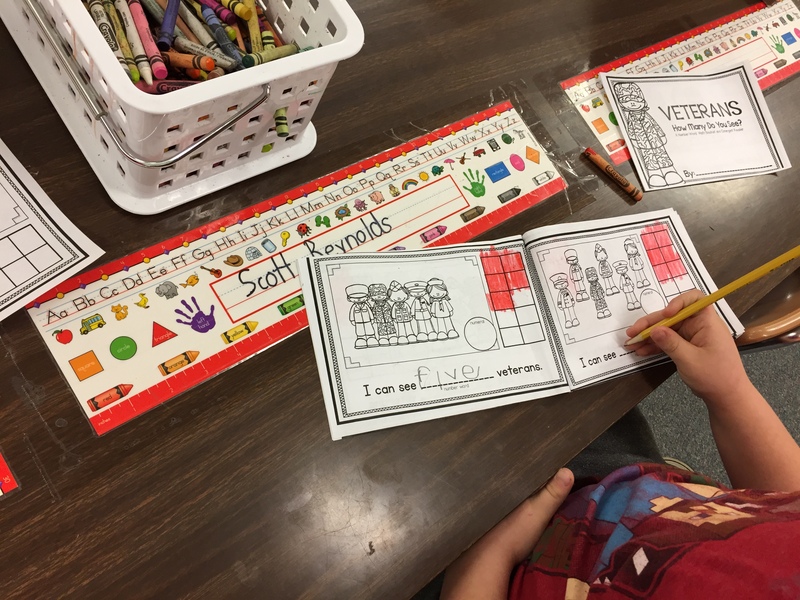 However during the time I was in school we learned about election day, the voting process, and what majority and minority means. 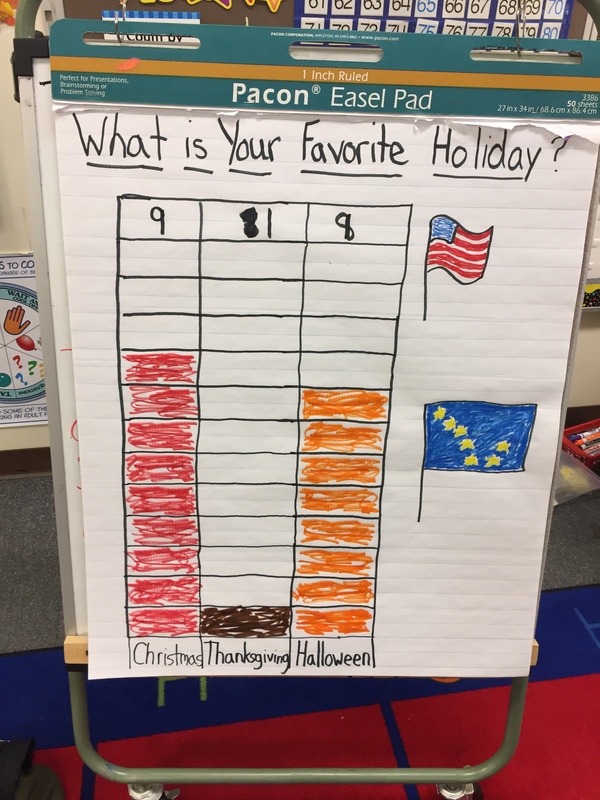 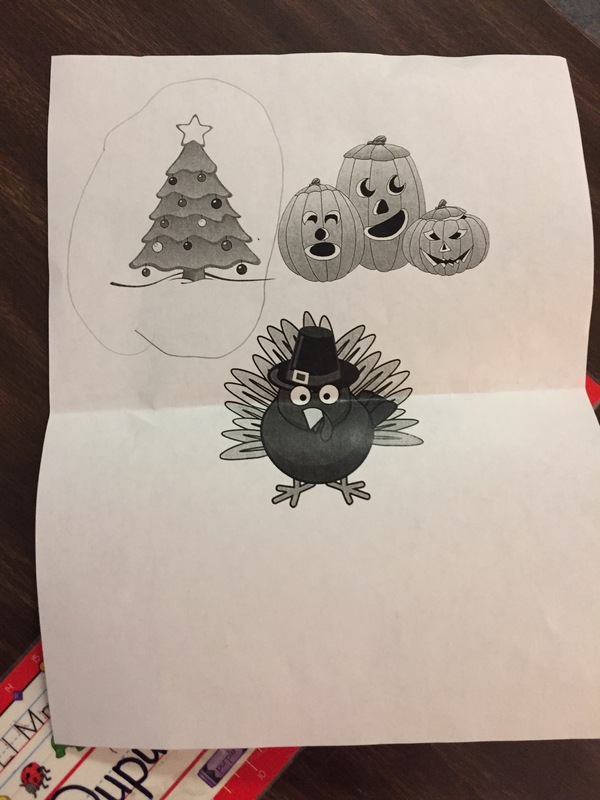 We voted on our favorite holiday, and graphed the results. 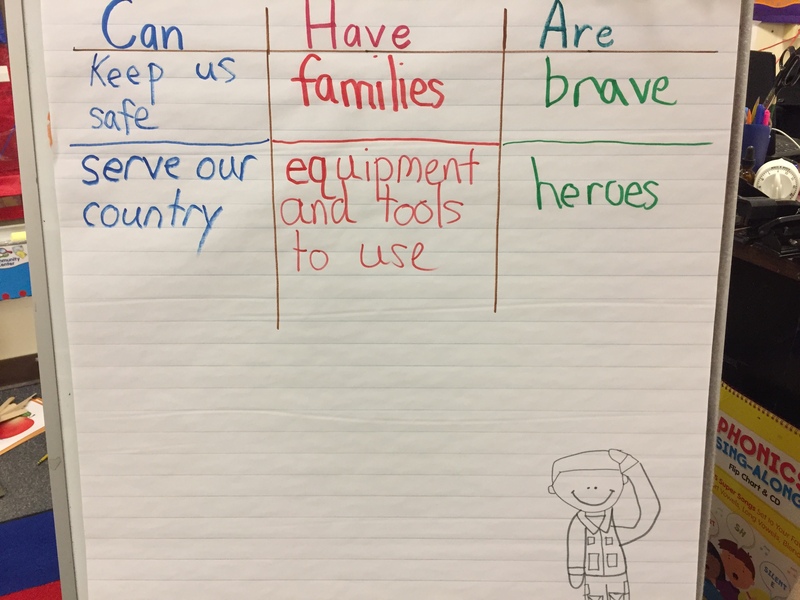 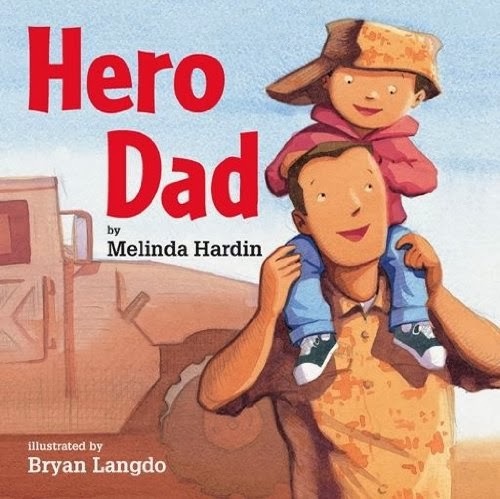 Then in preparation for veterans day we read the story Hero Dad and graphed about what soldiers are, can do, and have. 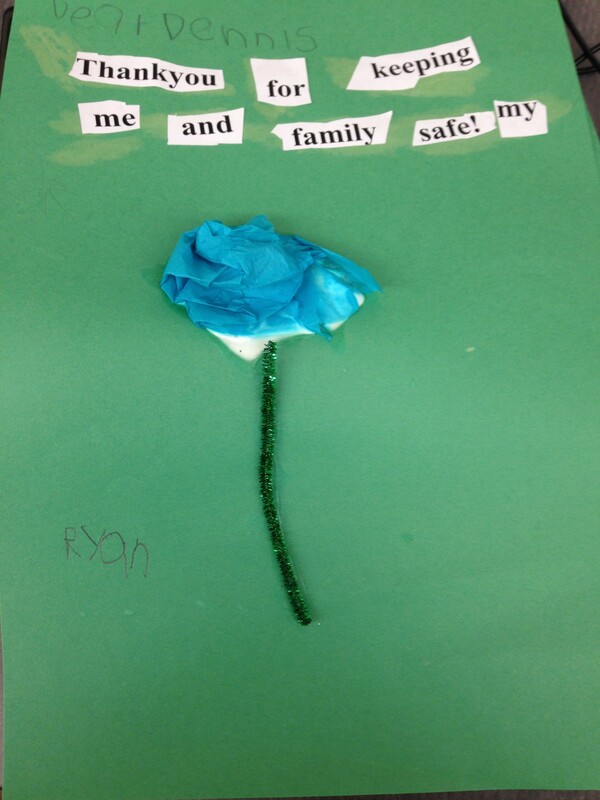 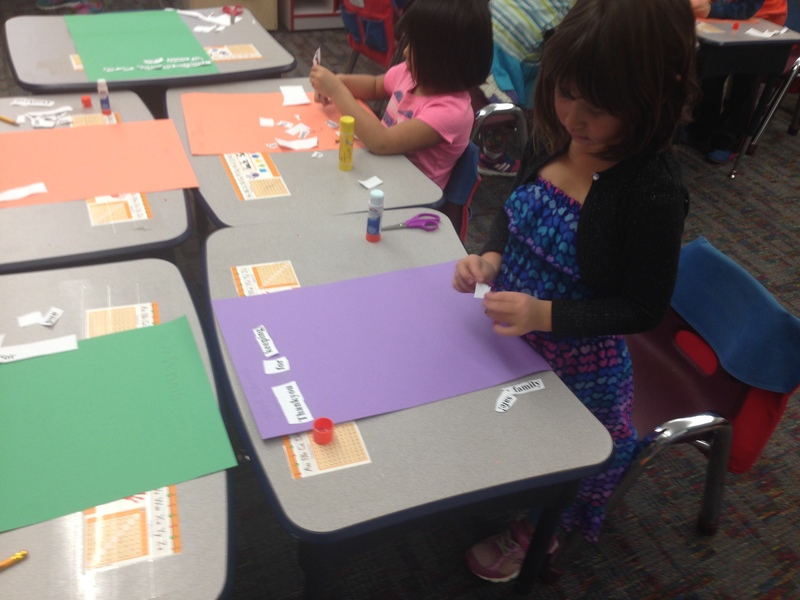 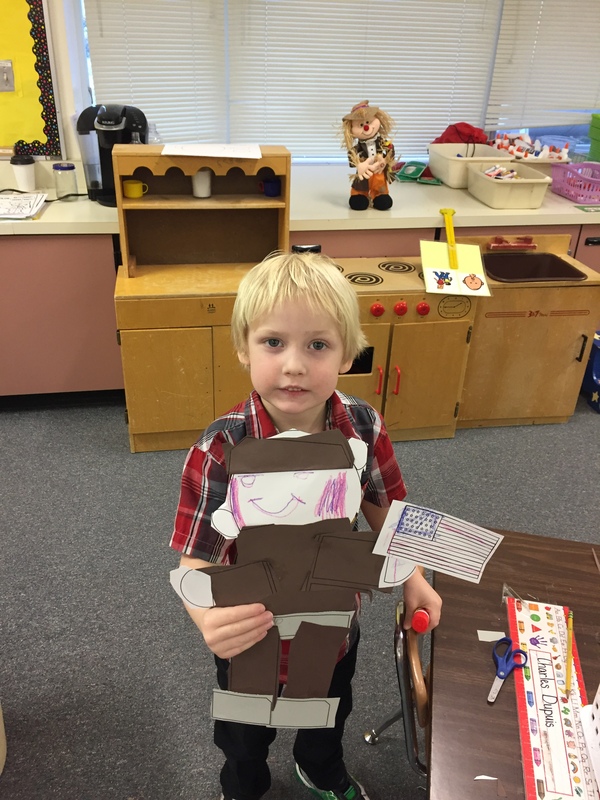 During our art time we made construction paper soldiers. 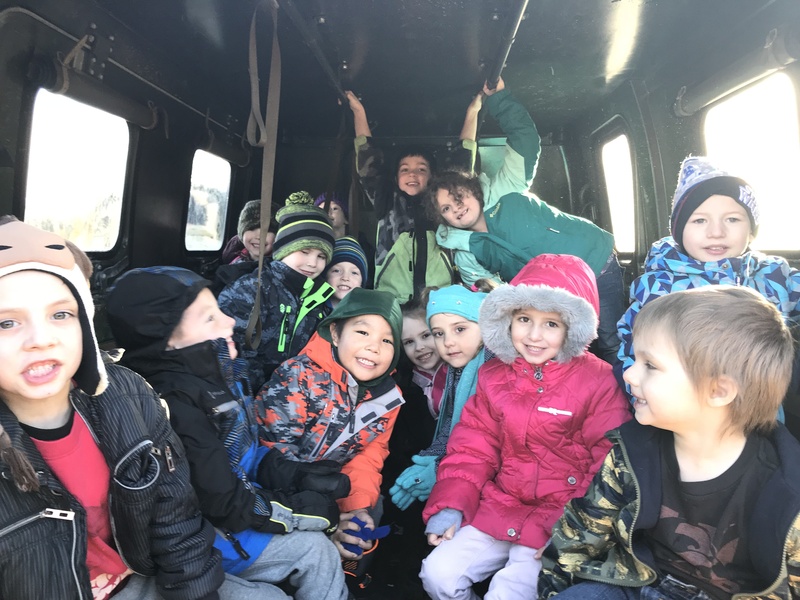 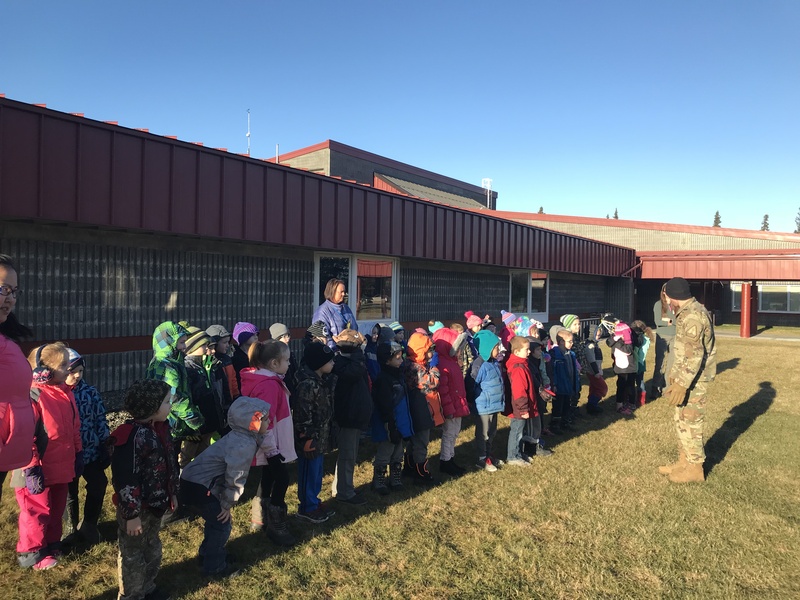 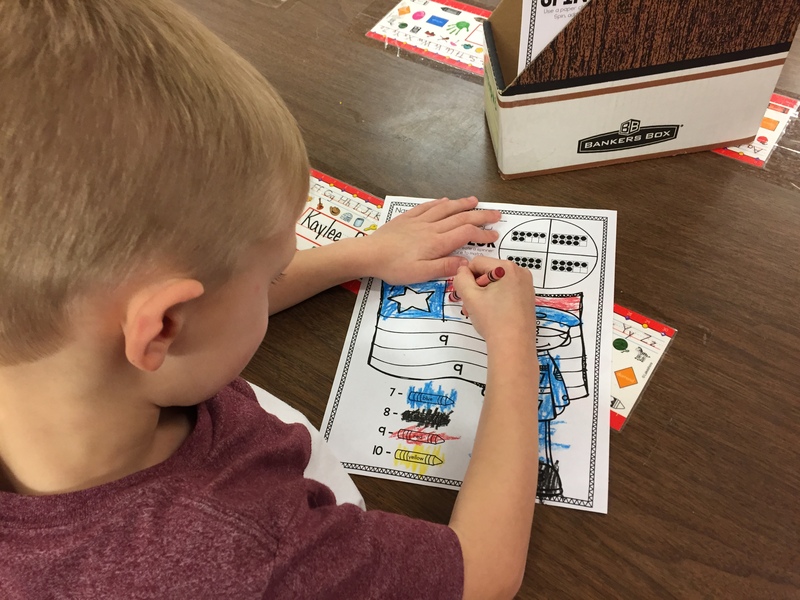 The whole week we had several veterans day related centers. 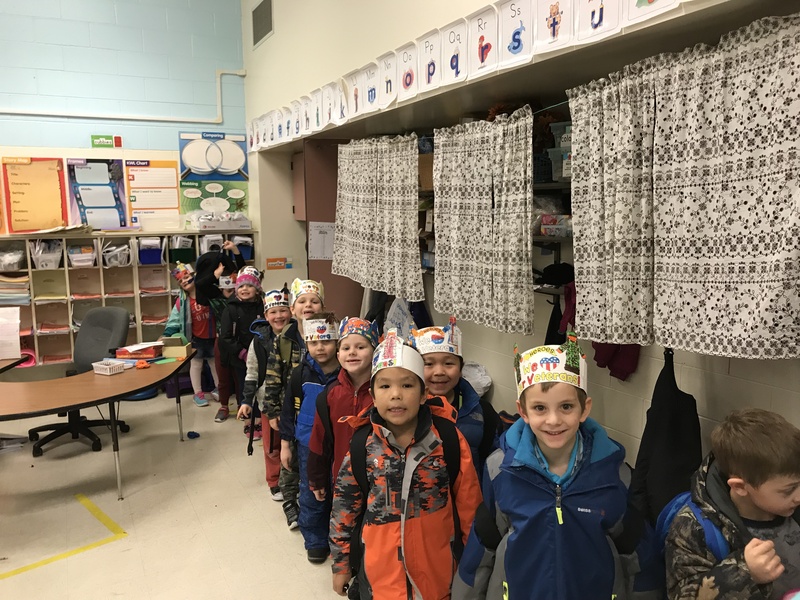 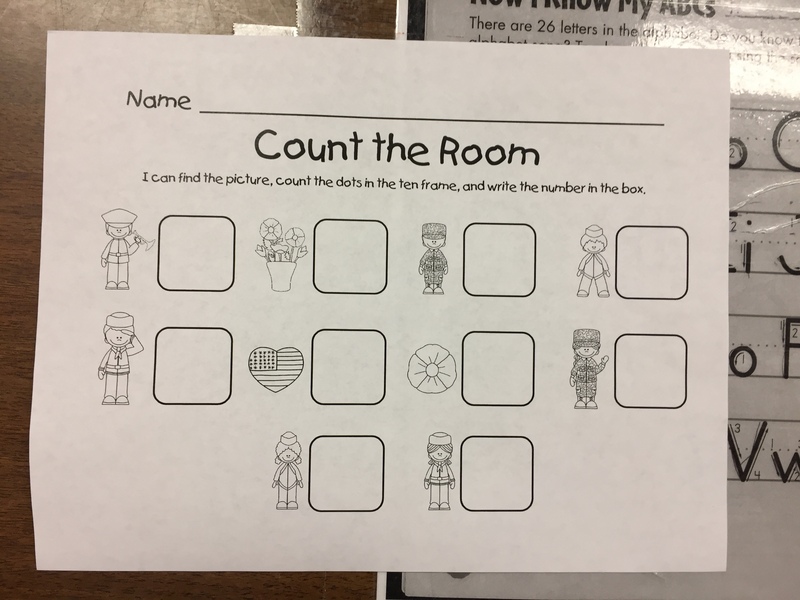 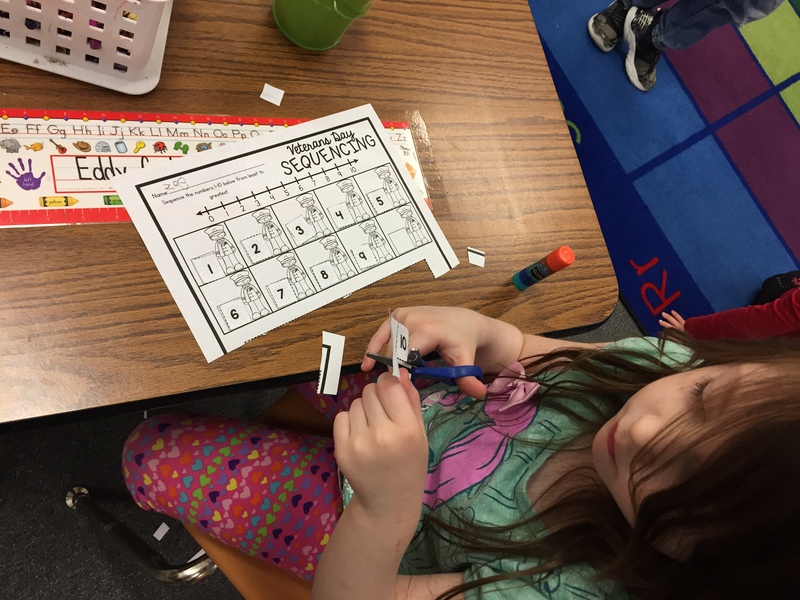 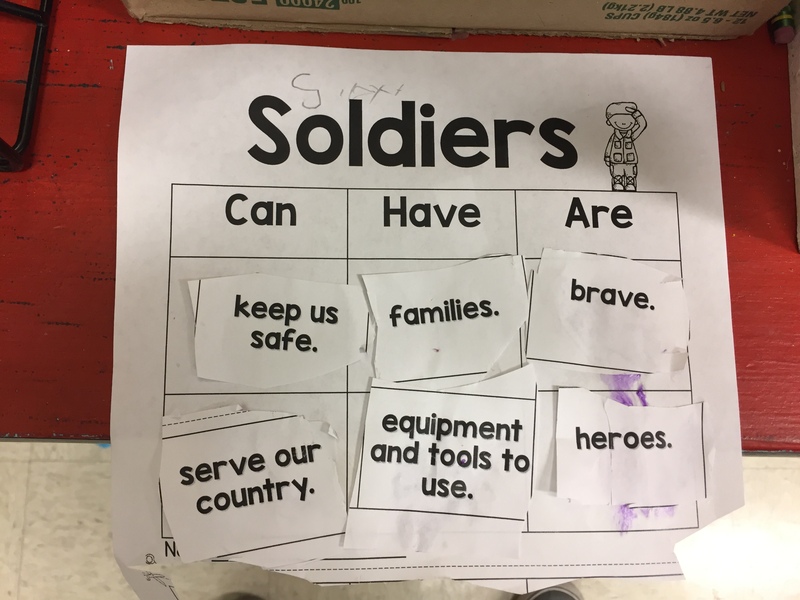 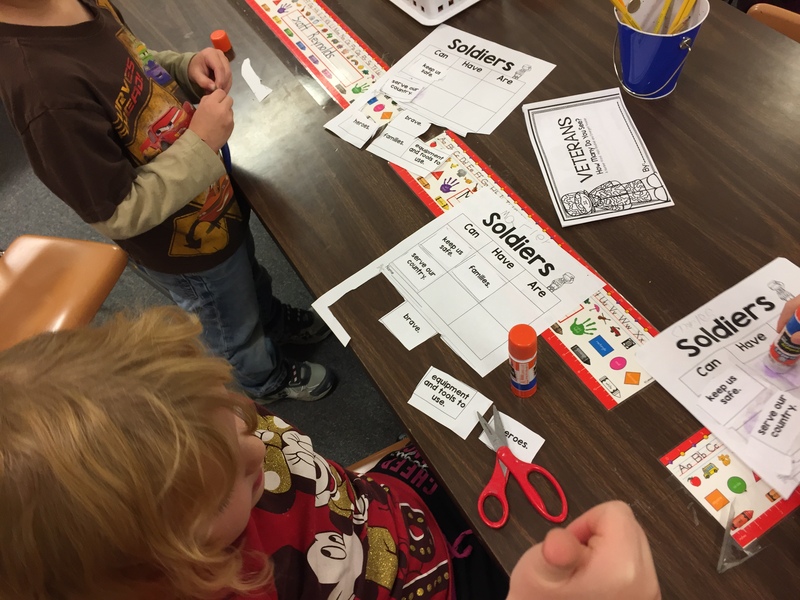 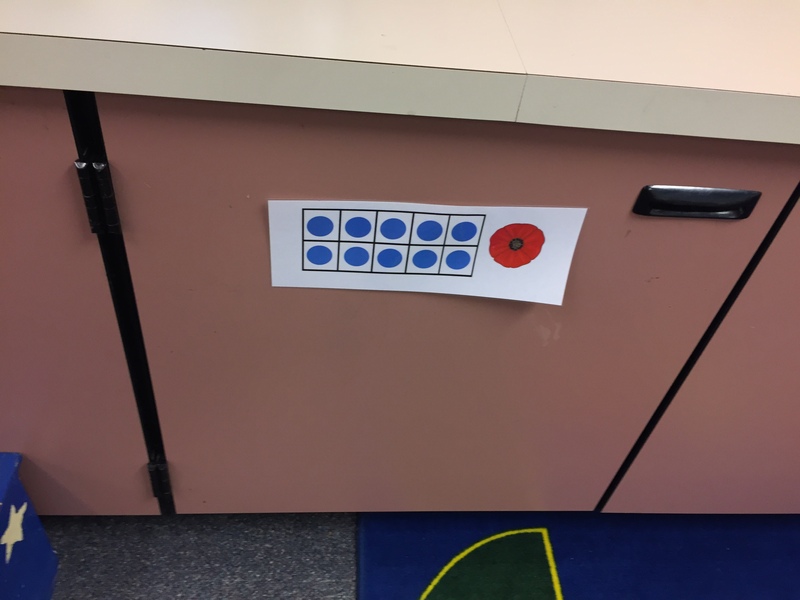 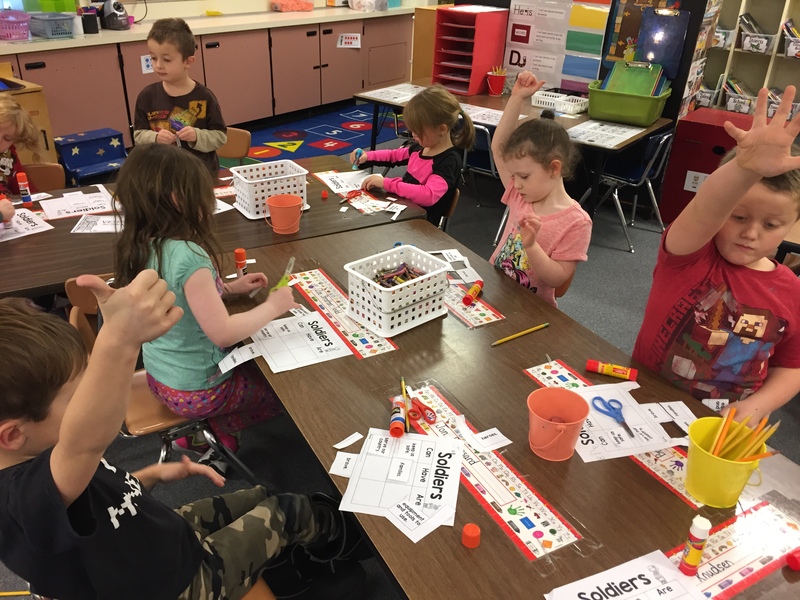 Students read and completed emergent reader books using number words, colored soldier pages based on numbers 6-9, ordering numbers 1-10, and count the room using ten frames. 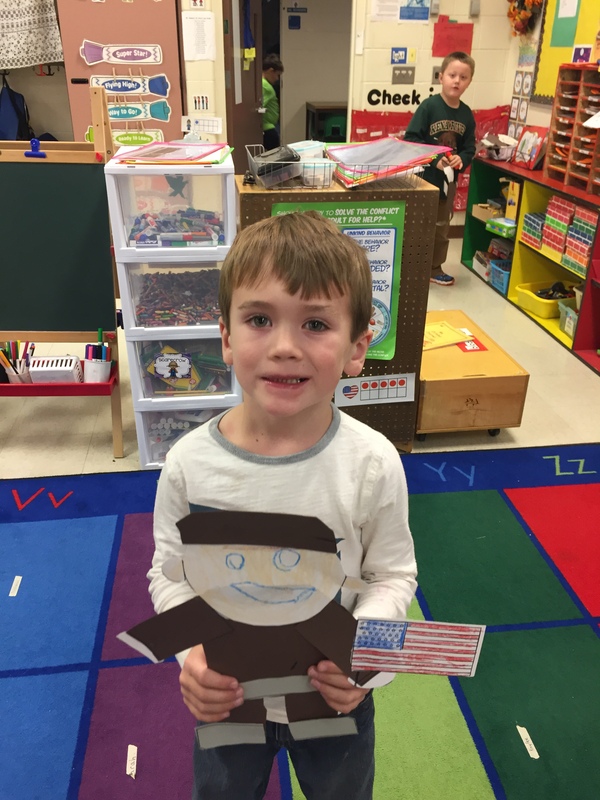 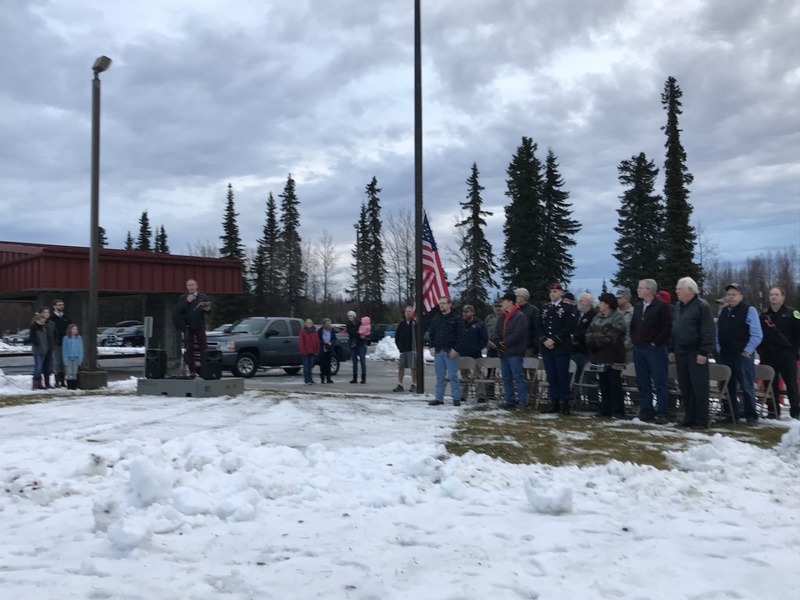 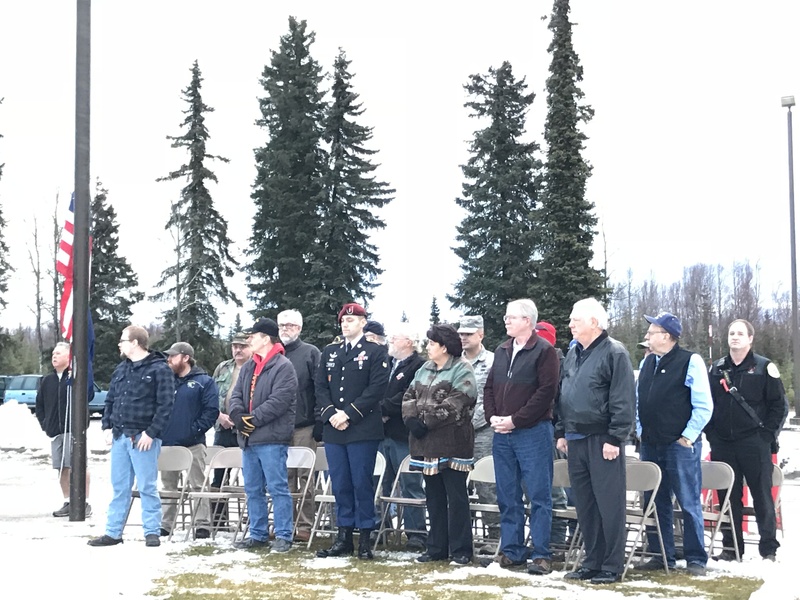 The veterans day centers come from Cara Carroll. 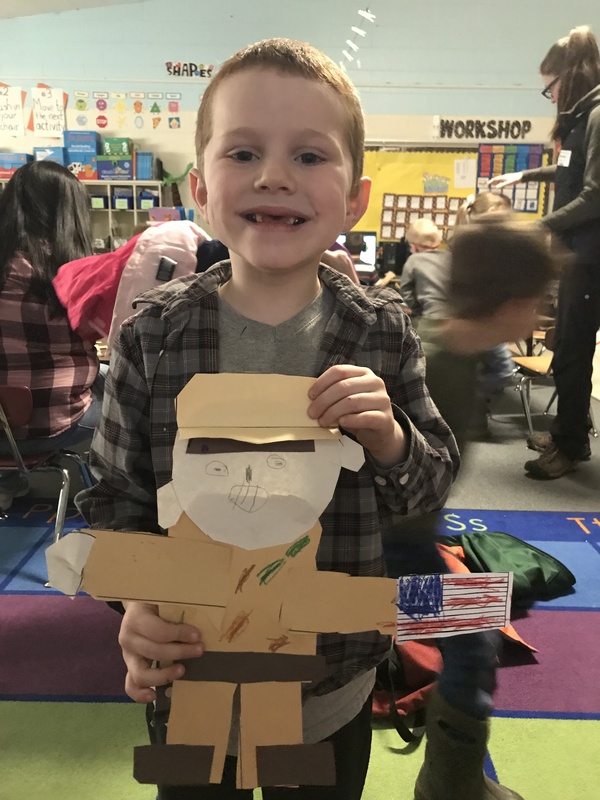 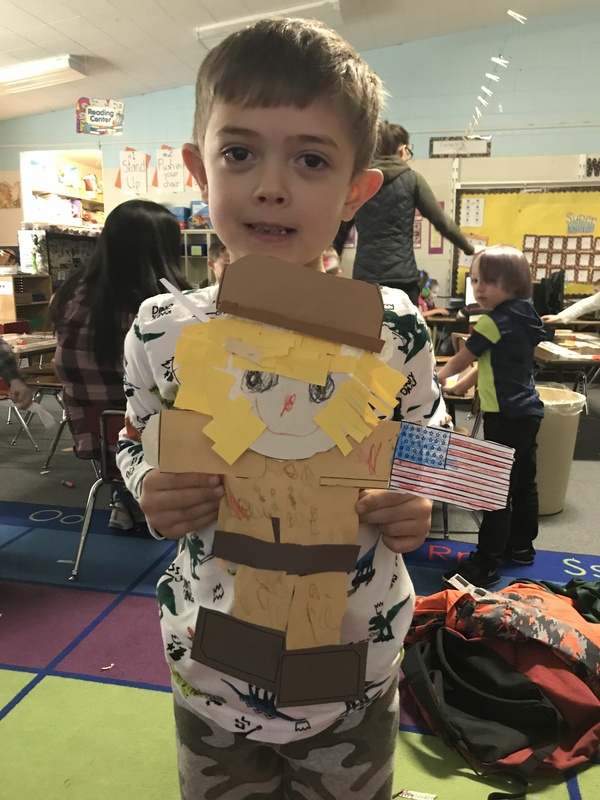 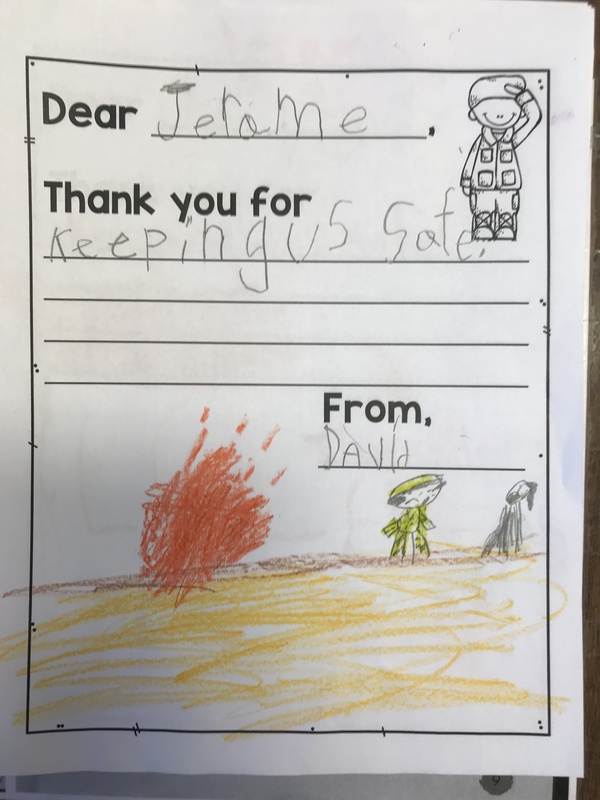 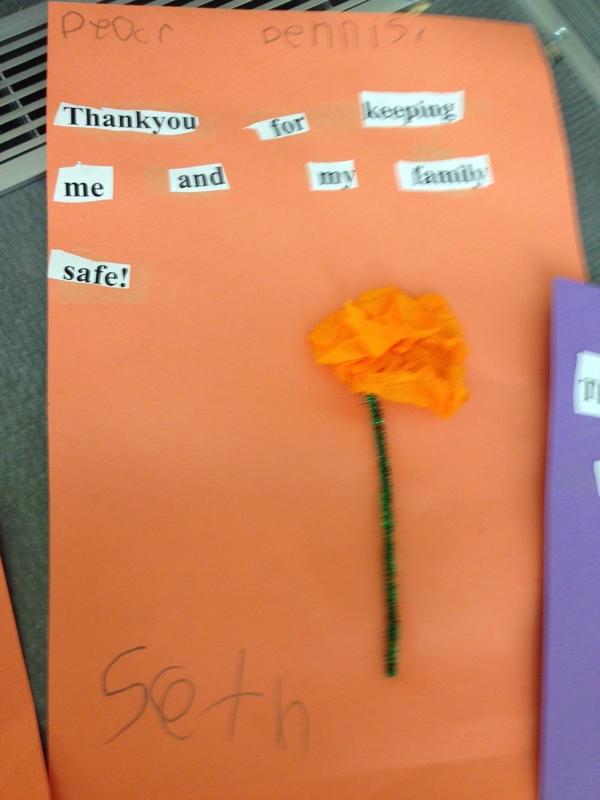 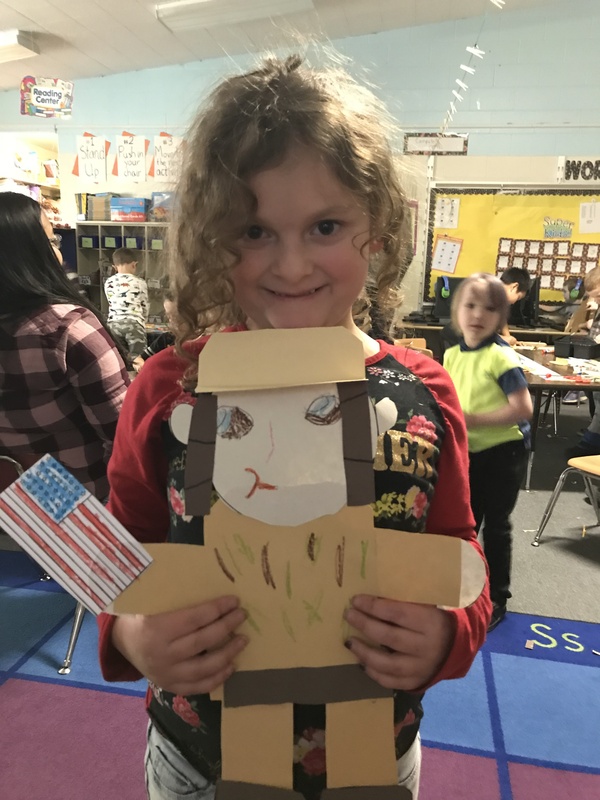 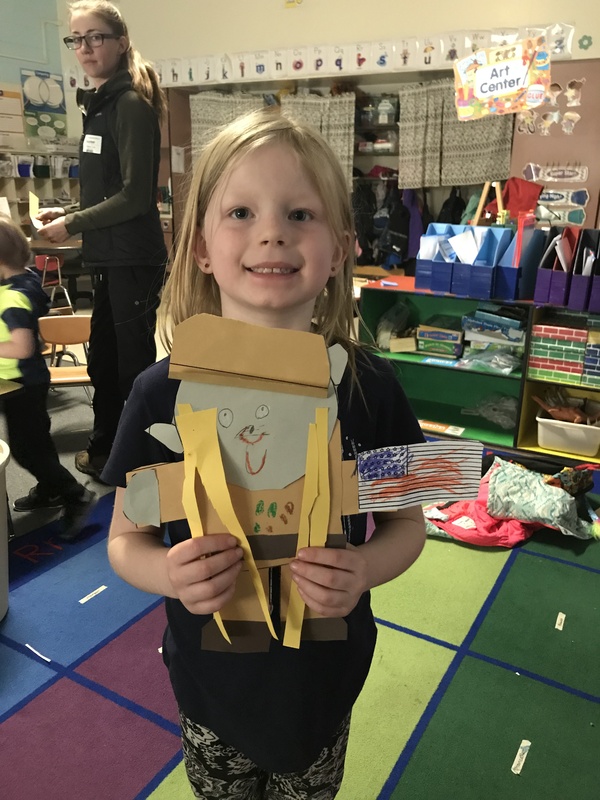 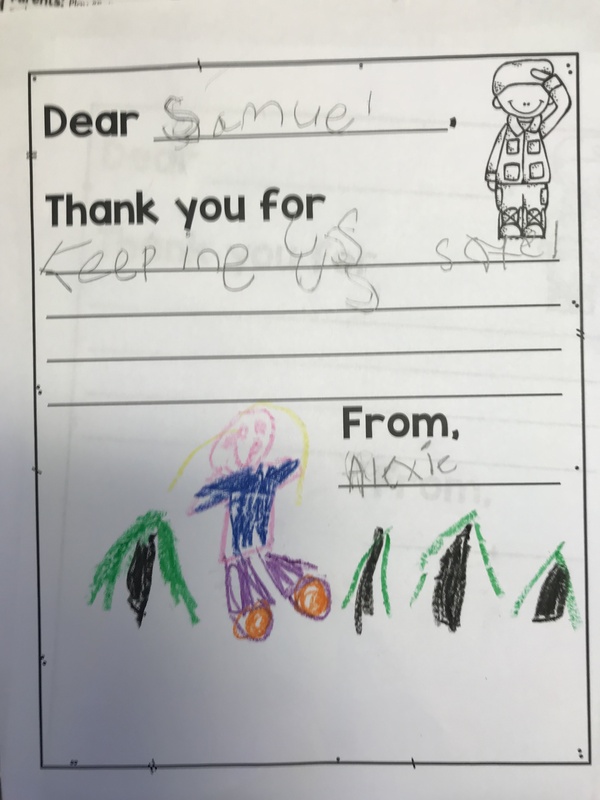 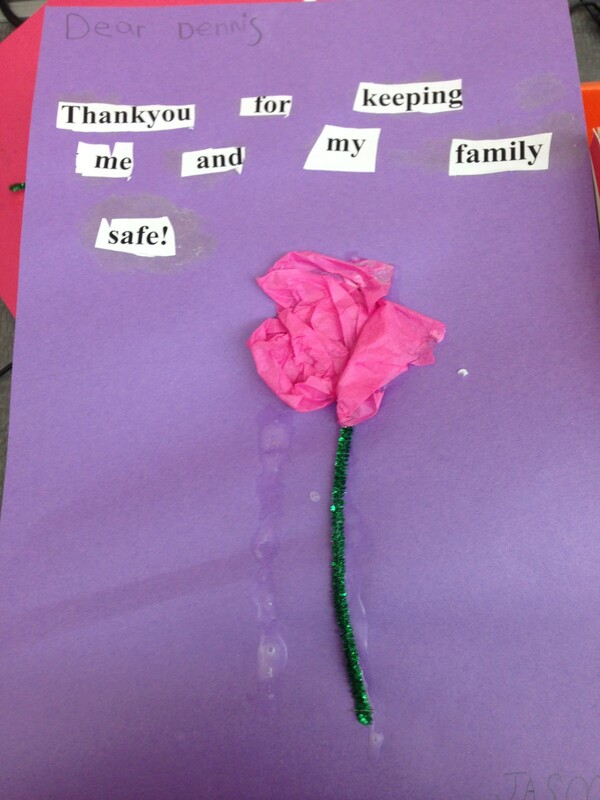 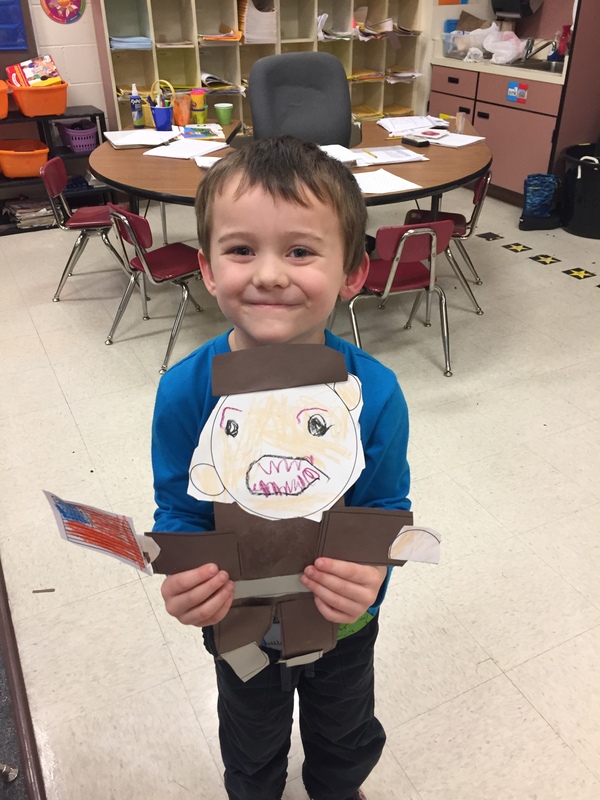 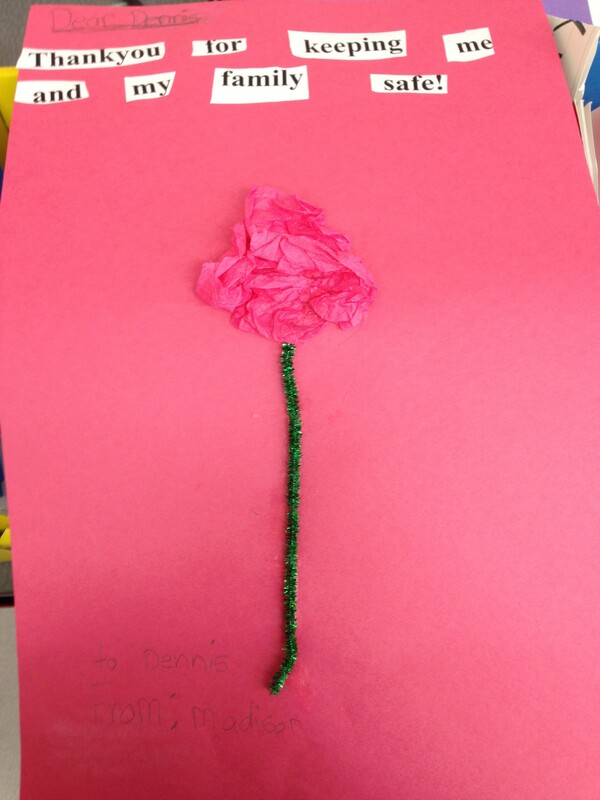 Yesterday was Veterans day, and to say thank you for their service; our K-1 Class created tissue paper flowers and cut apart sentences in a form of a thank you letter for my cousin who is a vet from the first Iraq war.